Famed for its historical charm and beauty, Malta’s generous giveaways to tourists and visitors are nothing short of thrilling. The moment you decide to spend your holidays in this gorgeous island country, you are in for a wonderful journey. As you read on, you will be more excited to learn that there are plenty of activities that you can do. Top 10 – Amazing Things to Do In Malta – Must See!.. The stunning Maltese islands are synonymous to scuba diving. The Mediterranean sea boasts the richness of nature as mesmerizing caves, reefs, and intriguing wrecks make diving even more interesting. 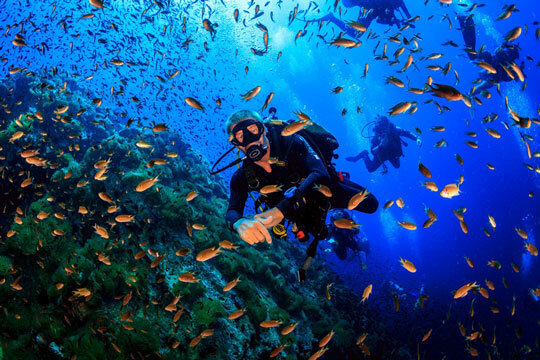 Diving in Malta proves to be a famous activity as this action-adventure activity is relaxing and challenging. Nothing beats an intimate bonding with a sea of crystal blue waters and the clear sky as you maximize your island getaway. One of the famous diving sites in Northern Malta is Cirkewwa. Its appealing attractions are the Madonna Statue and the deep shipwrecks named Tugboat Rozi and P29. Divers of all levels will be accompanied by thrilling fish species like Jacks, barracuda as they explore the depths of Cirkewwa. Dreaming of visiting the ancient stone buildings of the world? 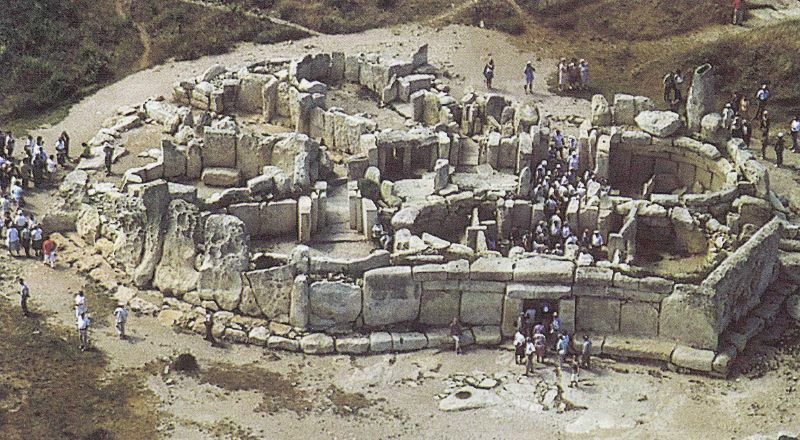 Malta prides itself for having the oldest temples in the world that are among UNESCO World Heritage Sites. Built between 3600 BC and 2500 BC, Mnajdra and Hagar Qim are tourist favorites temple sites and in my view the best temples to visit first. These two temples are quietly sitting between breathtaking landscape features. Mnajdra and Hagar Qim are picturesque and will take you back to history with their strong stone foundations. The Hal Saflieni Hypogeum is also a UNESCO World Heritage Site for its exceptional beauty. You will be more excited to get inside this burial complex divided into solid rocks as visitors are limited for conservation purposes. A short film will accompany your group prior to exploring the three-layered complex. The sacred Hypogeum is said to have deposited nearly 7,000 bodies in the past. It is suggested that you book your tickets in advance as slots are limited. Note that only children above six years olds are allowed to visit the place. The Mdina cathedral is one of two cathedrals in Malta that are rich in religious history and artifacts. It is said to possess the most attractive church interiors, after St. John’s. This baroque museum was destroyed by an earthquake in 1693 and was restructured in 1702. It boasts an astonishing collection of church silver, and 50 woodcuts and copper plates by the renowned artist, Albrecht Dürer. As you examine every detail of the Mdina museum, you will find yourself in awe of its well-kept secrets. There are a lot of accommodation options in Malta, but there is nothing better than staying in an ancient Mdina palace. These palaces were built in the 1700’s, with over 300 years of history. Mdina (pronounced as Imdina) was the original capital of Malta. This Roman center is considered as a living museum as you can find here the ancestral homes of Malta’s honorable families. The small streets of Mdina are worthy of your time and attention. The Bastion Square for one will give you a bird’s- eye view of the island. After a long day of wandering Mdina, you will never go wrong in indulging in a sumptuous feast on their restaurants. If you are an avid fan of the blockbuster series “Game of Thrones,” you will not miss visiting Mdina’s Plazas where the fateful encounter of Ned Stark and Jaime Lannister happened. If you want to have the feel of World War II, include the Lascaris War Rooms in your Malta’s bucket list. These underground tunnels in Valletta became a war headquarters of the Allied Mediterranean and British forces. 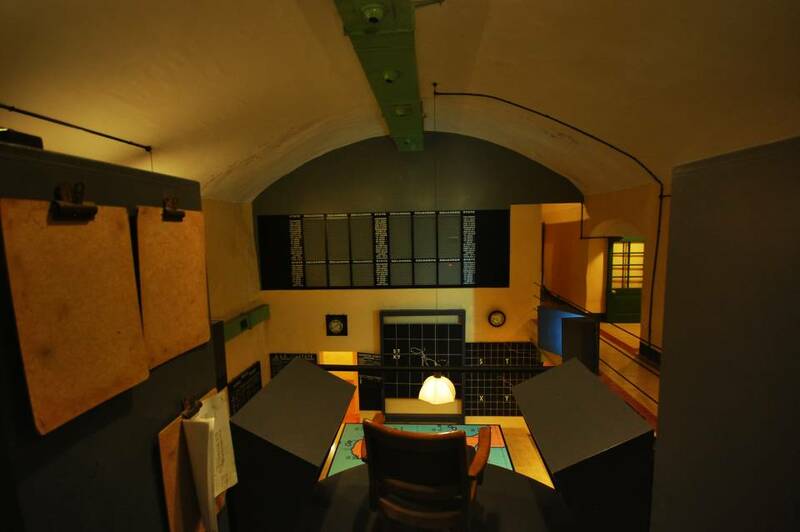 After entering the restored Lascaris War Rooms, you will notice the operation rooms equipped with the imaginative communication devices, plotting tables, and maps. Also, stories and insights of the war via human and audio guides will tell you the relevant role of Malta during that tough period. 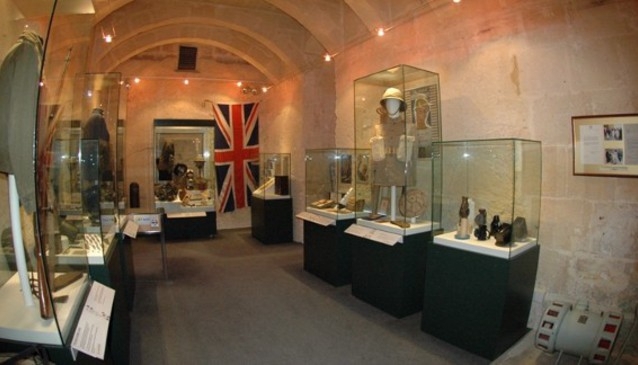 Another historic site that you should not skip while in Malta is the Malta at War Museum. This museum is contained within Couvre Porte, a counterguard sometime in the 17th century. Interestingly, this place is dedicated to the crucial role of Malta in the Second World War. Being one of the main targets of tragic bombings that time, these tunnels housed hundreds of people for many days in order to protect them. After reliving the battles of the past, you may want to hire a luxury holiday villa with pool for a rejuvenating treat. Take a tour to embrace the famous Grand Harbour through the wooden boats of playful colors. 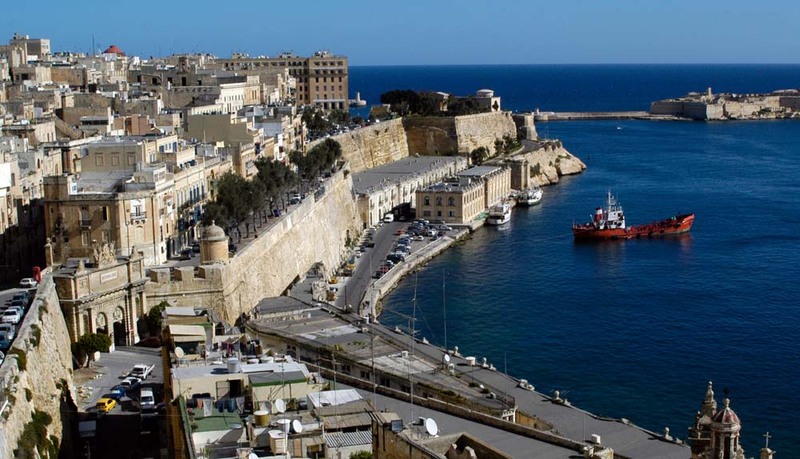 Hailed as the curtain board to Malta’s legacy and history, the natural harbor played a critical role during prehistoric times and presently serves as one of the most beautiful attractions in the Maltese island. Megalithics and Romans were reportedly tracked and found on the shores of the Grand Harbour. Another relevant event that made history in the entrance of the harbor is the Battle of Malta. The fortifications of Valletta are considered as the most relevant of Malta’s fortifications. Regarded to have contributed a fraction of a UNESCO World Heritage Site, the Valletta’s fortifications are composed of a series of walls to strengthen the city of Valletta. Built with advanced military architecture, you will be amazed at the thrills of the fortifications. Note that the best way to view them is by foot. 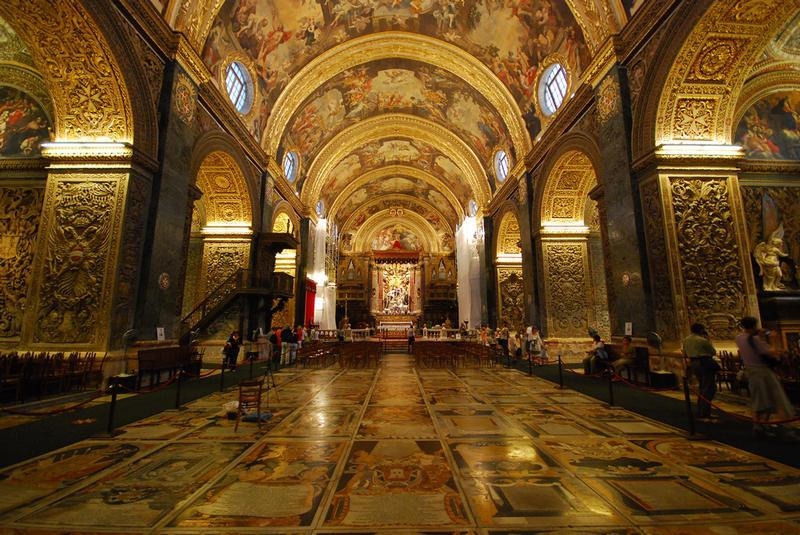 Designed by the prominent architect Girolamo Cassar, St John’s Co-Cathedral is the main church in Malta. Although the exterior of the church looks plain and simple, you will be surprised with the elements of beauty and elegance inside.